Have you ever wondered does SEO, inbound marketing and a blog work for a small business? How important is SEO and content marketing within the marketing mix of a freelancer. I think that the answer is that it has been beneficial for my self employed consultancy and training business based in the West of Ireland. This blogpost will review my experience as a freelancer for over 6 years in order to present the marketing formula for my business. The image above may provide some context for my business. 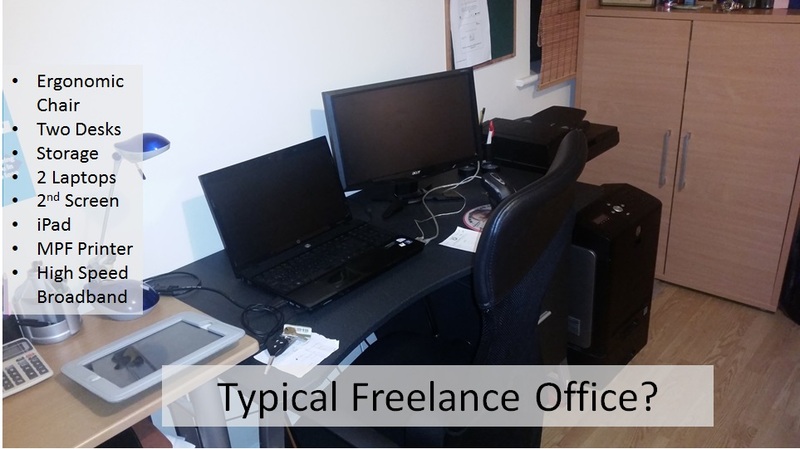 As a self employed freelancer operating from my home office, I have limited overhead. The vast majority of fees invoiced to clients is for my salary (after tax). I offer a very niche range of services. I aim to provide a professional and personal service to the startups, small business owners and enterprise agencies that I work with. ► This will be my 70th blogpost (along with 28 pages) on this website. Six of the posts are from 2016. ► I have written 7 LinkedIn Pulse articles. ► I have 13 articles published on network blogs – these are great for increasing social media profile. ► There are downloadable pdf resources on my website. ► I have also created 12 Slideshare presentations and some YouTube videos. So I am steadily over time creating a library of content that should be relevant to my target audience. This is part of developing an effective inbound marketing strategy. Next Issue: How to evaluate if your SEO effort is providing a return? A key question of any marketing activity is whether it is worth the energy and money devoted to it. Does it provide a return? b- to provide information to potential clients and to encourage them to contact me. This is somewhat intangible but I will try to quantify. We will look firstly at website traffic using Google Analytics. This can be complemented by reviewing level of inquiries for services via my website. Please note that I do not offer Search Engine Optimisation consultancy. I do provide group training to startups and small business entrepreneurs on SEO. The one day training workshop (1st September 2016 – Galway) aims to provide an understanding of best practice SEO at the beginner to intermediate level. The objective is to facilitate participant businesses to manage key elements of their SEO internally as part of their Marketing Communications. Website Analytics: is my content being read by potential customers? For the record, here is a snapshot of my web traffic. – Top 2 landing pages were blog posts with the full domain in 3rd place. – Top search queries and clicks presented in table format. 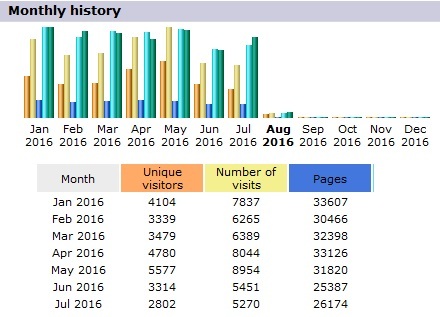 It is interesting that a post published 2 years ago was my top page in the first seven months of this year recording over 1500 pageviews. A potential client specifically mentioned that post when we met. And it seems that people are spending on average over 8 minutes reading the post. Well worth my time to write it! Finally, as an experiment I set up Google Adsense a few months ago. I will shortly be receiving my first payment of €10 to my paypal account. Which is a neat segue to the real issue of money and turnover from client work. 1- Two requests for assistance with Feasibility studies; one from Listowel and the other from Cork City. 2- A request from the UK for assistance with Market Research on the Irish market. 3- Two requests to write Business Plans; one from Dublin, and one from Galway. 4- Two requests to review Business Plans. 5- One request to develop financial projections for submission of a bank loan application. 6- Four requests for assistance with responding to Tender requests. 7- Two inquiries about providing Training, one as a partner. 8- One general request for mentoring on enterprise agency financial supports for a business (in Ennis). 9- One general request for support with growing a business (in Dundalk). 10- Two requests for information about applying for Short Term Enterprise Allowance and business plan for same (from Dublin and Athlone). From recollection that is at least 18 genuine emails in the last six or so months. Please note that I do not strictly track emails from my website. After responding, I put them all into one folder in my email client. Not all of these turn into business. I would consider them to be early stage unqualified leads. But some have – I recently invoiced 2 of the above (which prompted this post). I ask everyone who rings where they got my name. Increasingly the answer is that they found me online. As such these are all from people that I did not know or who did not know me. They also had not been referred by a mutual contact. For me it proves that SEO and more broadly inbound marketing works. Conclusion: How I win business? This post got me thinking about how I win business – what is my marketing approach. I don’t spend money on marketing per se but there is significant time and some minor expense incurred within the communications cost category. The formula is from my own experiences. I do not know if it applies to other freelancers but I think that it might. So the model is based on qualitative experience rather than quantitative data. I hope it is fairly self explanatory. You may notice that advertising is not included. This is because I have never advertised either online or offline. I was very lucky when I started to be asked by some customers to do some work and the business evolved particularly via tenders and sales proposals from direct sales. The major element of the formula is winning repeat business which results from excellent service delivery. I deliver some services for clients on an annual basis e.g. training programmes. Repeat business also includes follow up consultancy and mentoring. [In 2015, I had 19 customers of which 9 were repeat. These 9 accounted for 72% of income]. Positive Word of Mouth leading to referrals is primary source of new clients closely matched by Tenders. I would always have considered SEO/ Content Marketing and Social Media as a factor in generating brand awareness. I would also consider it useful in confirming good impressions created via tender documents and referrals. It is welcome to realise that the website is also a lead generator in its own right. As always I hope you enjoyed this post. Comments welcome while RTs and shares on social media are greatly appreciated.